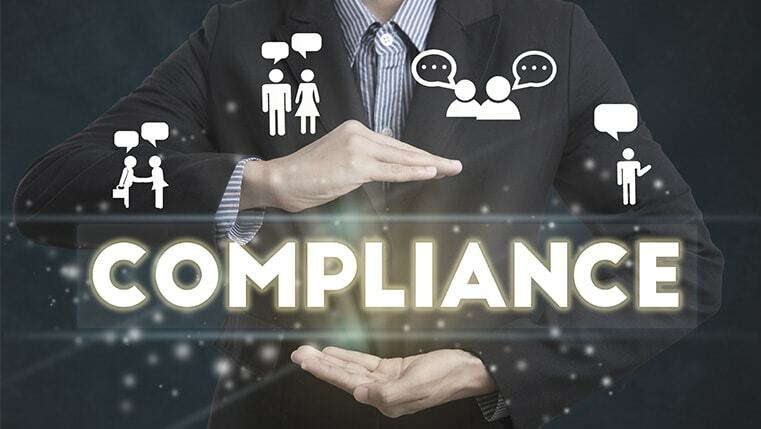 According to towards maturity benchmark survey 98% of the organizations are interested in pursuing technology-enabled compliance training. The survey also reveals that user engagement is the top barrier in adopting eLearning to such trainings. 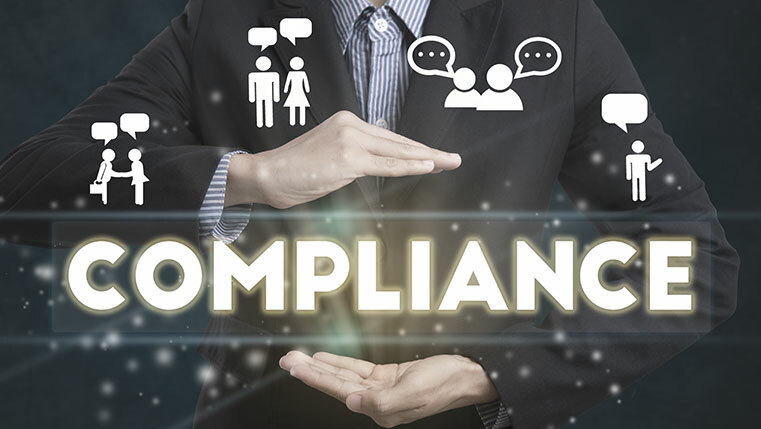 Most of the organizations implement compliance training because it is mandatory to fulfill the requirements of regulatory authorities. They choose to adopt technology for such trainings because it decreases the cost of tracking, generates training completion reports (that can be submitted to regulatory authorities), maintains learners’ records, etc. This need shifted their focus against designing effective and engaging eLearning compliance courses. 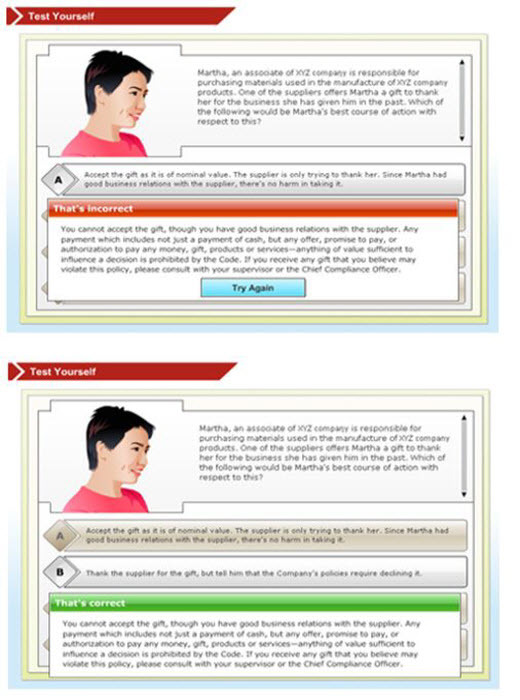 As a result, courses became simple page turners that eventually made learners feel bored of online compliance training. Now this became the top barrier to organizations in adopting eLearning for compliance training. How to overcome this barrier? To explain this better let us study an example. One of our clients gave us the material in the form of PDFs and white paper for a course relating to FCPA compliance training. The content was very complex to understand and included a lot of legal terminology. Our instructional designers, with the help of subject matter experts, simplified it and presented the content in an easy and an understandable way. We tested the learners understanding after every concept by presenting the learner a case and asking them to solve it using the concept learnt. According to adult learning principles, adults learn and show interest when they feel that the information is relevant to them. To make the content relevant, have a clear knowledge of the job roles of employees and design the content. 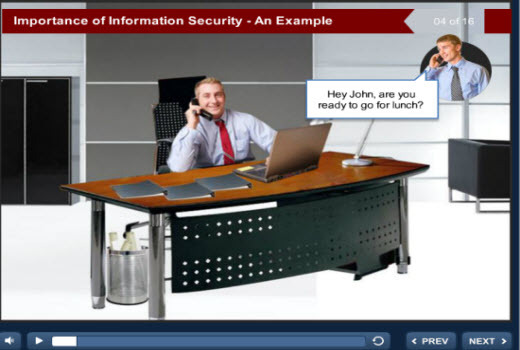 For example, in an information security training course we explained the importance of securing the system with a password relating it with their daily tasks. For courses, especially for code of conduct or work-place violence, designing the content with scenarios can engage your learners effectively. Feedback in assessments should clearly communicate to the learners why the selected option is correct or why it is wrong. Such feedback not only satisfies your learners but also helps to reinforce the learning. 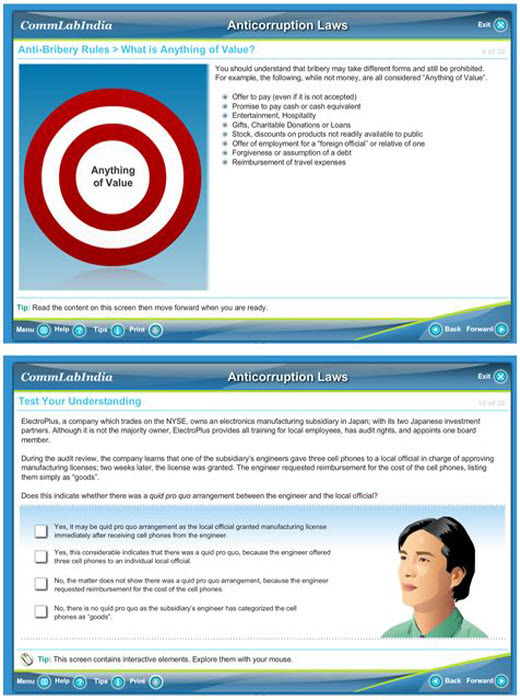 At CommLab, we have devised several courses related to Compliance. Before designing a course, we step into the learners’ shoes and try to discover their problems, thus enhancing learning.